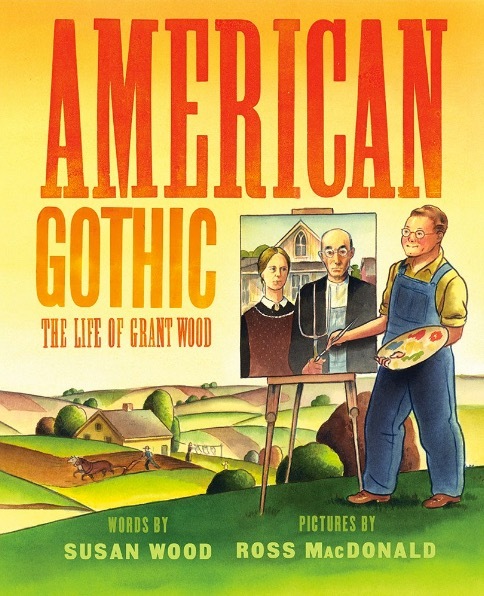 American Gothic Gets Kirkus Thumbs-Up | . Young readers are treated to a crash course in modern art while witnessing Wood’s evolution as an artist. A sunny palette of yellows, greens, and browns is perfect for Wood’s regionalist art and the inspirational tone of the volume. A fine, accessible introduction to Wood’s art.